Conference Series Ltd invites all the participants across the globe to attend 13th International Conference on Allergy and Clinical Immunology Abu Dhabi, UAE. 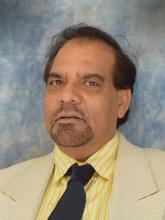 Anil Mishra is the Chair of Edward G Schlieder Educational Foundation and Professor of Medicine. He is also the Director of Tulane Eosinophilic Disorder Center in the section of Pulmonary Diseases at Tulane University School of Medicine. He is an Elected Fellow of the American Academy of Allergy Asthma Immunology (FAAAAI) and the American Gastrointestinal Association (FAGA). He has published over 100 articles, book chapters and reviews on molecular mechanisms of pulmonary and gastrointestinal allergic responses in high impact factor journals. Eosinophils are multifunctional leukocytes with diverse functions in health and disease. We first time demonstrate that IL-18 has a critical role in the development and maturation of eosinophils. Herein, we provide evidence that IL-18 differentiates eosinophils, even in the absence of endogenous IL-5, both ex vivo and under physiological conditions in vivo. IL-18 and IL-5 differentiated ex vivo eosinophils have differences in size, shape, granularity and differentially regulated CD274 (PDL1) transcript expression IL-18 activates B cells and subsets of specific T cells to produce IgE and eosinophil responsive cytokines including IL-5 and IL-13 to promote eosinophil influx into the tissues in experimental and human allergic diseases. IL-5 is an established factor for the rapid differentiation, expansion and survival of eosinophils. Eosinophils play a role in expelling gastrointestinal parasites in health and are involved in the pathogenesis of allergic states and allograft rejection. This distinct function of eosinophils is not yet not fully understood. The study provides a new understanding of eosinophil biology through the recognition of IL-18 differentiated CD274 (PDL1) expressing mature eosinophils that is detected even in blood of healthy individuals and allergic patients. Most importantly, it has been found that PDL1 expressing eosinophils are increased in the blood of asthma patients and solely accumulated in the tissue under allergic conditions. Activated epithelial cells and antigen presenting cells are the major source of induced IL-18 in allergic diseases. Our ex vivo and in vivo data provide evidence that implicates IL-18 in the development and maturation of pathogenic PDL1 expressing eosinophils. In brief, the analysis of mouse and human eosinophil in healthy and disease state indicates that IL-18 and IL-5 synergistically promote differentiation, maturation and proliferation of PDL1 expressing pathogenic eosinophils in allergic disease states. Collectively, first time identified the role of IL-18 in transforming naive eosinophils to pathogenic PDL1 expressing eosinophils and this finding may have broad implications regarding non-invasive diagnostic and therapeutic strategies for eosinophil-associated diseases. 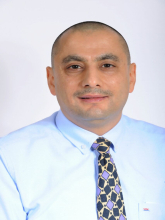 Mohamad Miqdady is American Board certified in Pediatric Gastroenterology, Hepatology and Nutrition. He is the Division Chief, Ped. GI, Hepatology & Nutrition Division at Sheikh Khalifa Medical City in UAE. He is also an Adjunct Staff at Cleveland Clinic, Ohio and USA. He serves as member of the FISPGHAN Council (Federation of International Societies of Pediatric Gastruenterology, Hepatology and Nutrition), Expert member FISPGHAN Malnutrition/Obesity Expert team. Dr. Miqdady completed his Fellowship in Pediatric Gastroenterology at Baylor College of Medicine and Texas Children’s Hospital in Houston, TX, USA. He held the position of Assistant Professor at Jordan University of Science and Technology in Jordan for six years prior joining SKMC. His main research interests include feeding difficulties, picky eating, obesity, procedural sedation, allergic GI disorders and celiac disease. Background & Objectives: This study elaborates the understanding of cow’s milk protein allergy in infant, focusing on prevention as a primary target. with maternal diet restriction avoiding dairy containing products till the age of one year or further. In such cases, the lactating mothers should be supplemented with calcium and vitamin D. In the formula fed infant, they should be fed an extensively hydrolyzed formulas or amino acid formula till the age of one year or more. Nutritional adequacy of hydrolyzed infant formula and their shortcomings, elaboration about practical points and pitfalls in formula prescription will be covered in the talk. Results & Conclusion: Allergic manifestations are variable, although genetics plays a major role; environmental factors are very important and may be amenable to intervention.